Tucked away among the rolling hills of Southeastern Ohio, the Inn at Dresden Bed & Breakfast provides the perfect setting for a relaxing get-away with family and friends or a quiet weekend with someone special. As our guest, you will leave behind the cares of the world and gain the time to dream of the possibilities that lie ahead. 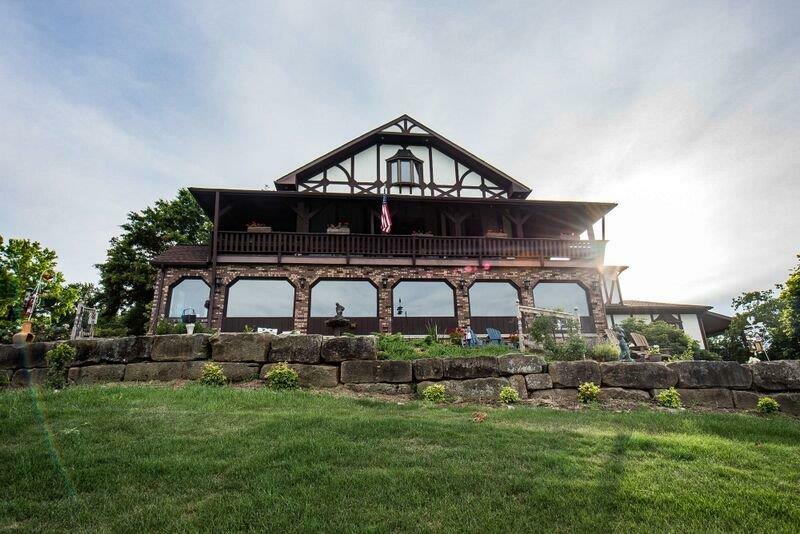 Originally built by Dave Longaberger in 1980, this elegant Tudor bed and breakfast offers a panoramic view of the village of Dresden and the surrounding Ohio countryside. The Inn at Dresden features 4 individually decorated rooms from the panoramic view of City Lights to the secluded Hideaway. All rooms feature private baths with extras such as hot tubs, fireplaces, and private decks. Enjoy a full breakfast and evening snacks and desserts.